Conference Room - Vialect Inc. 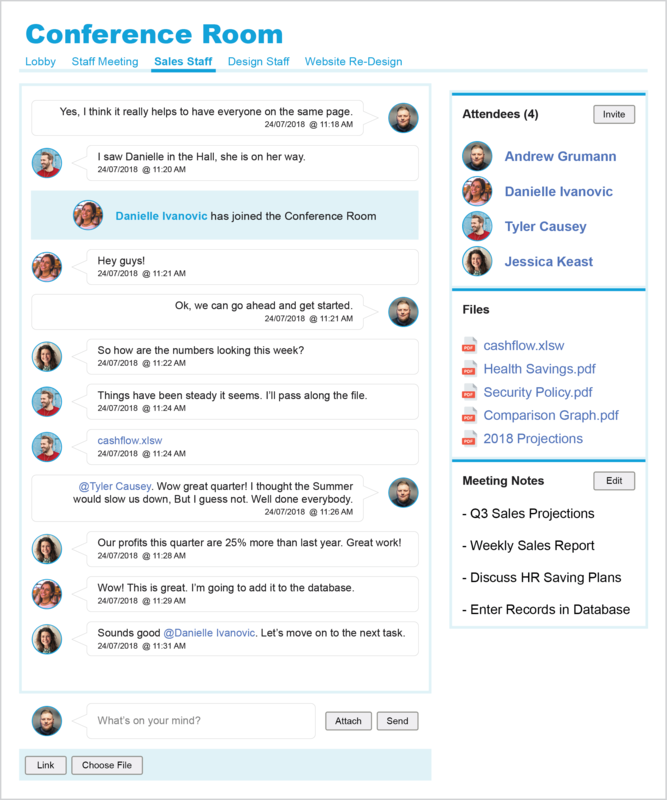 The Conference Room application allows multiple people to have online meetings, just like a web-based chat room. Users can share rich media during a meeting by attaching files to their messages. It’s also possible to direct a message to specific people. Users can create a meeting summary, which is saved for future reference.